Every now and then, military members find themselves stuck living in an ugly house. Maybe the price was right, maybe the stay was short, or the options were lacking. But, when it’s time to move again, you’re certainly ready for something attractive to call your own. It’s no fun dreading coming home to a place that makes you depressed just looking at it from the driveway. The properties showcased in MilitaryByOwner’s homes of the week are definitely not ugly! Curb appeal and charisma are the name of this PCS game if your next stop is Joint Base Lewis McChord. This home is no longer listed. 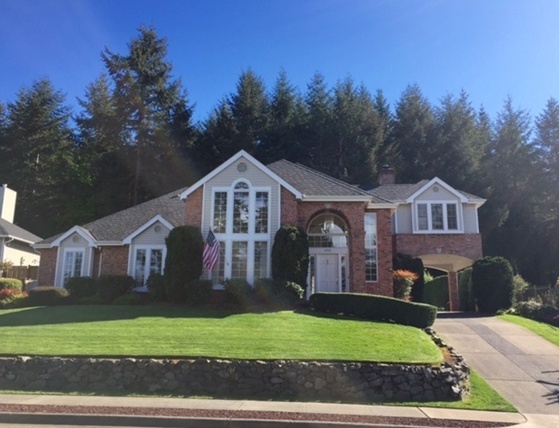 See other MilitaryByOwner Olympia listings. Two-tone siding, decorative stone work, and a welcoming front porch are the first amenities that come into view when headed home to Brighton Way. The multi-pitched roof brings dimension and detail to the overall feel of the attractive property. The luscious, bright green lawn pops (maintenance included in homeowner’s dues) against the neutral colors of the exterior, but blends perfectly with the trees behind the house. A pretty face paired with substantial structural character promises buyers a house worth coming home to. This home is no longer listed. From the quiet street, this house has a grand presence against a classic Northwestern evergreen tree line. Up close, the details are more than plentiful. Stonework encapsulates the front lawn and draws the eye up to the soaring windows. Although peaks in the roof line offer an angled appeal, the arches in the custom brickwork and windows soften the edges. A pleasant drive through a portico leads to the back of the home and a double garage. Although hidden from street view, the same arch architecture and pitched roof balance the back of the home to the front and add an element of calm symmetry. Blue is beautiful. Sky and grey blue, to be exact. Bursting with color, this home is exceptional in its own way, but never showy. The house matches the impeccable sky color on a sunshine-filled day. The varied green landscape plays with the blue tones flawlessly and makes for a very serene view. A grand corner lot means more space to enjoy the comfortable Washington temperatures, especially from the perfect front porch and in the back where a covered patio and gas fire pit welcome new homeowners and their guests. 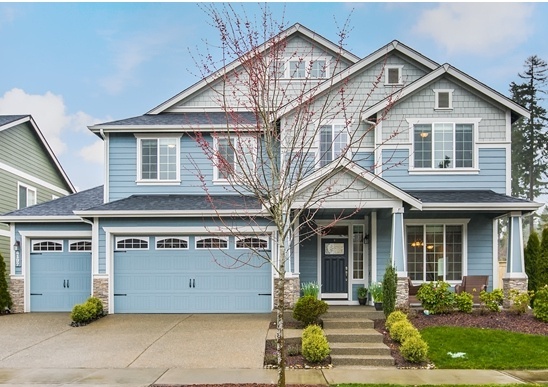 With so many appealing houses available and awaiting new owners, there are plenty of reasons to take advantage of all the beautiful homes near Joint Base Lewis-McChord. The natural landscape is simply a bonus. 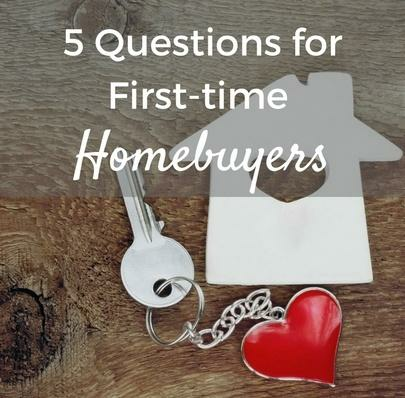 Don’t feel pressure to sign for any “ugly home” this PCS cycle! Check JBLM listings for more homes for sale or rent at MilitaryByOwner.